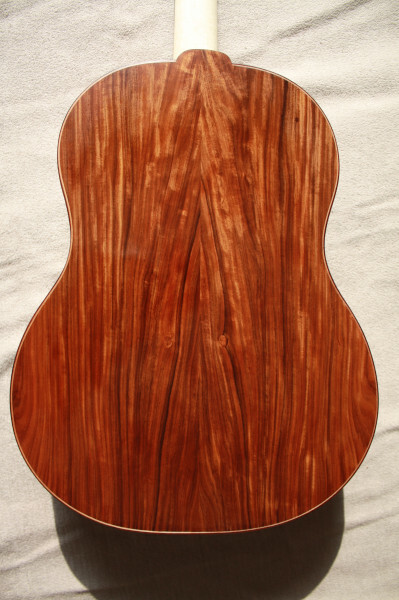 The more I build guitars, the more I want to test all appearances and forms of guitars. 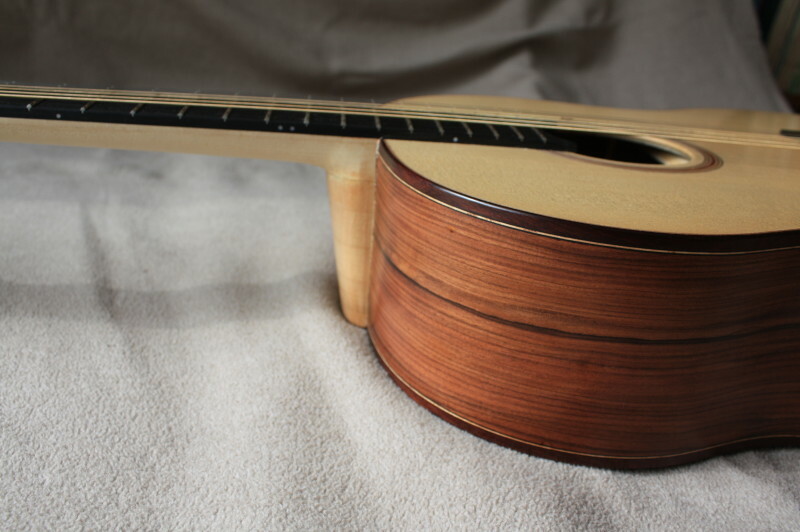 So I decided to build an accustic guitar – aka Westernguitar or Steelstring. 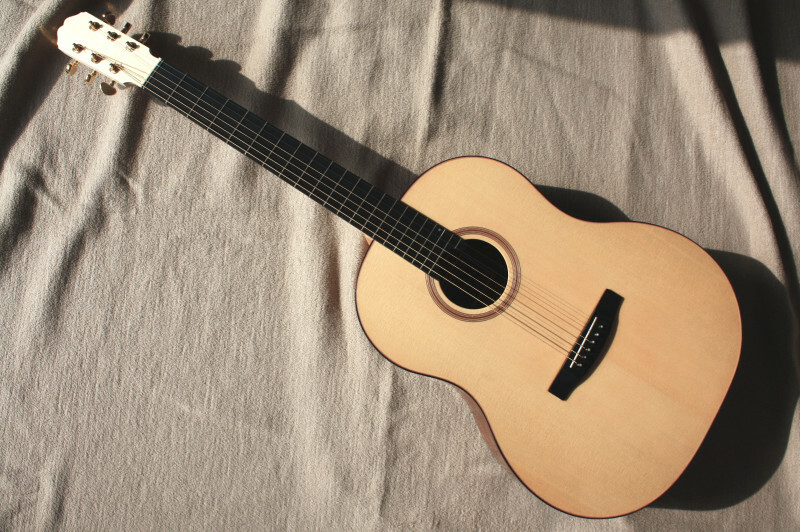 The callenge on this instrument was o develop a suitable construction first, because with my classic bracing system it was not possible to attach steel strings. I decided to go for a hybrid bracing which has some elements of the widely spread X-bracing (like Martin, Taylor and many more) but also some elements of my own system. 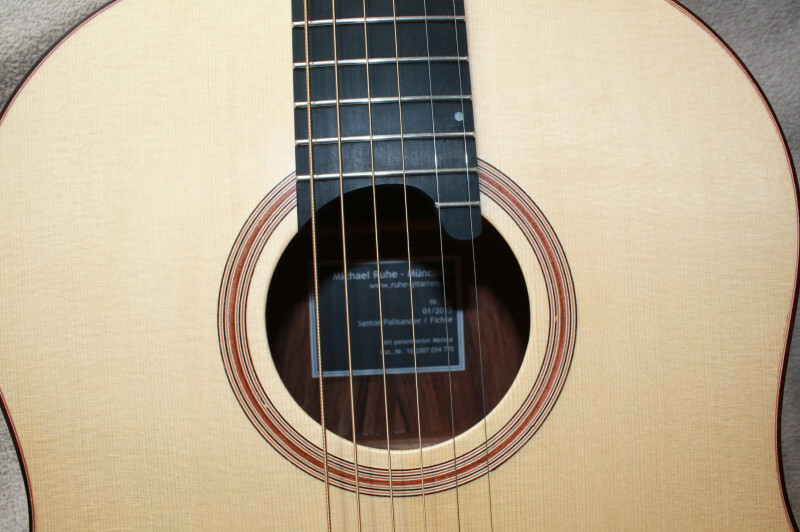 The top is slightely thicker than in my classic guitars and the shape is almost identically to my shape, with the exeption of 5 mm more width in the lower bout. 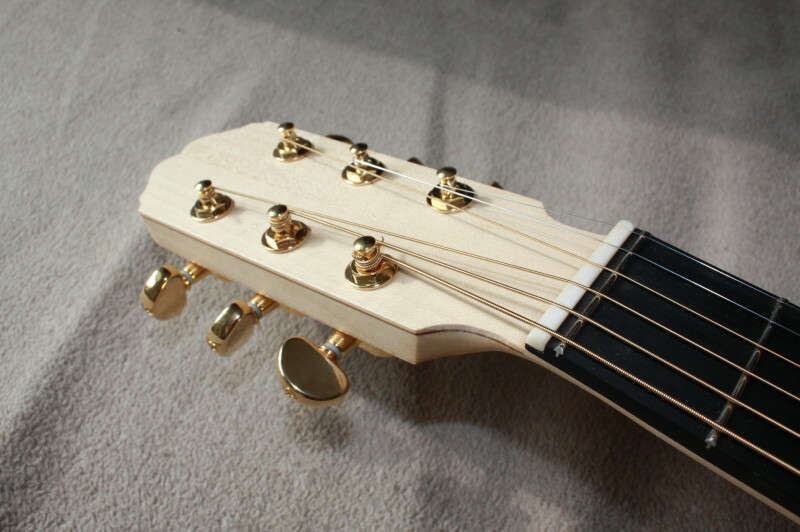 The neck-body joint is on the 14th fret as with many steel stringed guitars.